We are happy to announce the Deadline for the Fourth International Choreographic Captures Competition: April 30, 2011! Include hashtag #dancetechtv in your tweets! Critic and culture writer Claudia LaRocco speaks with choreographer Stephen Petronio about his monumental work Underland, with music by Nick Cave, soon to be presented in New York, at the Joyce Theater. To celebrate the occasion, LaRocco and Classical TV present Petronio’s exciting 2010 work, Ghostown. Igor Štromajer: Ballettikka Internettikka 10th aniversary! There were a ton of little snags along the way, but I built a small, simple program entirely out of Max/MSP (dynamic metronome - I posted about it in December) that I have since built an installer for using NSIS ( nsis.sourceforge.net ). I'm pretty stoked about the idea that I can use Max to build a professional .exe from the ground up and distribute it. Dance Technology and Circulations of the Social, Version 2.0, MIT, Mass. An dance-tech.net will be there!! Experimental music, dance and technology collaboration. The Holy Mountain, The other side of oneself, Lithium, Ferrum. Please join us at 92YTribeca for an evening of historical and contemporary short videos and live performances featuring strange, gross, funny, and wondrous creative adventures with living organisms. 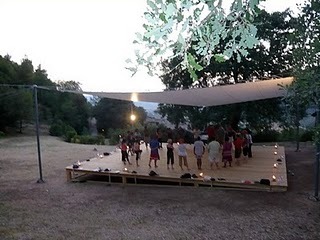 Join La Mama for these experiential workshops for professional directors, playwrights and actors at La MaMa Umbria International in Spoleto, Italy during 4 Programs this summer. Train under the best dance instructors at one of the most acclaimed academies at no cost to you.